In terms of investment performance, no asset class in India has historically shown as consistent a performance in the long term as equity mutual funds. More to the point, a specific sub type of equity schemes – diversified mutual funds also known as multi cap mutual funds offer a unique balance of risk and reward to investors. As a result of their ability to manage risk and reward in an optimal manner, diversified equity funds are considered to be one of the best long term investment choices for novice investors as well as experienced ones. In the following sections, we will discuss a few features of the 6 best diversified equity funds for FY 2018-19. The Aditya Birla Sun Life Advantage Fund is the top rated diversified equity scheme managed by the leading fund house, Aditya Birla Sun Life Mutual Funds AMC. Being a multi cap equity scheme, it invests in equities and equity derivatives irrespective of their market cap and thematic affiliation. 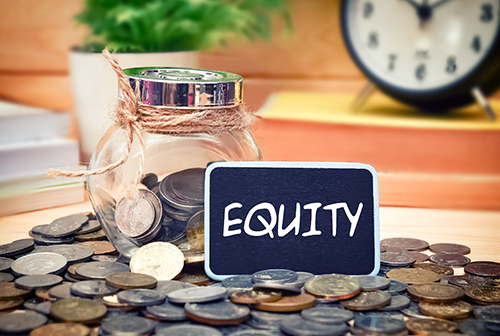 This diversified equity fund attempts to provide investors with long term growth of capital while ensuring potentially low levels of risk to the amount invested. In order to achieve this, the scheme would focus on the identification of companies that feature good future growth prospects and an effective management. The current portfolio of this scheme is large cap underweight as these equities account for about 68% of the scheme’s portfolio compared to its benchmark’s allocation of approximately 88%. Additionally, it is mid cap overweight with 31.49% allocation versus 11.75% mid cap allocation of its benchmark. The remainder investment of around 1.5% of the portfolio in case of this scheme is small cap equities. In case you are seeking a long term investment in an aggressive growth-oriented scheme, this is definitely one of the best diversified equity funds for investment in FY 2018-19. Till a few years back, the SBI Magnum Multiplier Fund from SBI Mutual Fund AMC, used to be one of the “also-ran” schemes in the diversified equity mutual fund category. But things have definitely changed now as the scheme has proven itself as a true creator of wealth through its continuously improving performance during the past few years. As per its objective, this fund can hold between 50% to 90% portfolio in large cap equities, 10% to 40% in mid caps and small cap allocations can range between 0 to 10% of the scheme’s portfolio. 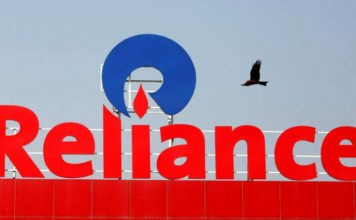 At present, this scheme is a bit more mid cap heavy than many of its peers but it is one of the most actively managed schemes in its category. As a result, its portfolio is liable to change quickly depending upon changing market conditions. What makes this fund’s track record special is the fact that it has managed significant outperformance in 2015 and 2016, which is when the mid cap space witnessed significant growth. Going forward, this scheme’s ability to select quality investments based on growth potential, management quality, capital efficiency and compounding ability is expected to help it remain an outperformer in the category. DSP BlackRock Equity Opportunities Fund is considered by some leading experts as one of the steadiest performers in the diversified equity mutual fund category. This scheme by design seeks to provide investors with long term capital appreciation by investing in a portfolio that mainly consists of equities and various equity derivatives of mid and large cap companies. Over the years, the scheme has shown a distinct large cap bias which currently constitutes an estimated 70% of the fund’s portfolio, with an additional 20% mid cap exposure. The scheme also implements a few unique risk management techniques to contain the downside pressure. These include limiting maximum exposure to single equity at 10% of portfolio and maintaining a maximum 7.5% cap on cash levels held by the scheme at any given time. Historical records during the unprecedented bear years of 2008-11 show this scheme’s ability to successfully contain losses. This is in addition to more recent data that shows that this scheme has managed to outperform most of its peers and its benchmark during recent equity market highs. This unique combination makes it one of the best diversified equity funds for investment in FY 2018-19. Franklin India High Growth Companies Fund, as the name suggests, seeks to grow the money invested by selecting and investing in Indian companies capable of delivering high growth in the future. Many a times these might be out of favor companies that are trading below their intrinsic value and as such this scheme follows a contrarian value investing style that does not overpay in lieu of growth. Key factors that this scheme has been known to consider when selecting possible investment routes include fair minority shareholder treatment, governance/management quality as well as sustainability of the business model. Moreover, this diversified mutual fund features active management with dynamic allocations across various market caps based on prevailing market conditions. At present, an estimated 65% of the portfolio is large cap equities, while mid cap equities account for an additional 30% and small caps constitute the remainder. Considering that this multicap scheme has managed to outperform its benchmark as well as most of its peers since launch, it does seem to be a good equity mutual fund investment option for FY 2018-19. Principal Multi Cap Growth Fund is perhaps the most successful mutual fund in terms of assets under management from Principal Mutual Fund AMC and with good reason. As one of the top performers in the diversified equity category, this scheme primarily invests in equities and equity derivatives with the objective of long term capital appreciation. The scheme’s current portfolio composition shows large cap allocation of around 60% and mid cap allocation of approximately 31% with the remainder accounted for by small cap equities. This might show a slightly higher mid cap exposure as compared to the scheme’s benchmark, but this is in fact one of the main reasons for the scheme’s outperformance in the past couple of years. Historically, this diversified mutual fund has also held relatively high cash and cash equivalent liquid instruments in its portfolio, which has helped this fund contain the downside during sustained bear runs. It is therefore expected that in case of an equity market correction, this scheme would have better downside management capability as compared to many of its peers while retaining the capability of outperform during an equity market rally. This unique combination of capital appreciation and downside management capability makes the Principal Multi Cap Growth Fund one of the top diversified equity investment choices for 2018-19. HDFC Capital Builder Fund, a diversified scheme from one of India’s largest AMCs, HDFC Mutual Fund AMC, has often been overlooked by retail investors, but that is changing slowly as its capability to grow wealth becomes common knowledge. In terms of its objective, you might not think it special as, like some of its peers, this scheme invests in equities and equity derivatives that are trading below their intrinsic value. This contrarian outlook allows the scheme to follow a value investment strategy that has worked wonders for its long term growth prospects. What’s more, this scheme also retains the flexibility to invest in a wide range of money market and debt instruments depending on the market situation. This flexibility gives the HDFC Capital Builder Fund a potential resilience to contain the overall downside risk of market corrections or bear runs which is evident from historical records of the scheme during the bear markets of 2008-09. At present, this scheme’s portfolio features large cap, mid cap and small cap equities as approximately 71%, 21% and 7% respectively – this indicates only slight variance from benchmark allocation of diversified schemes. All said and done, this according to many experts is a solid diversified equity mutual fund investment choice for FY 2018-19.